work week, a national minimum wage, established prohibitions on employing minors, and guaranteed overtime pay of time and a half for certain jobs. 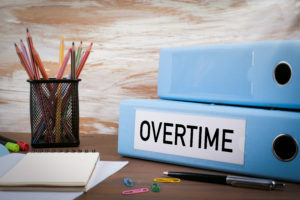 Today, I will focus on the guaranteed overtime provision and begin an exploration of the exempt and non-exempt pay classifications as a series of posts and podcasts. Since this is the first post on the topic, I will just give a summary of the overtime provision and later will give more detail in future posts. pay. There are certain, well defined exceptions to this rule, however. Exceptions that I will begin discussing in today’s post. The FLSA defines two classifications of employees – exempt and non-exempt. Exempt employees meet the FLSA’s requirements to be exempt from overtime pay while non-exempt employees are required to be paid overtime. There are several exemptions, or tests, that the FLSA provides in order to help employers determine whether an employee is exempt or non-exempt. For most employees, their exempt or non-exempt classification status depends on how much they are paid (salary level test), how they are paid (salary basis test), and what kind of work they do (duties test). In order to be classified as exempt, the employee must pass all three tests. Salary level test: Employees who are paid less than $23,000 per year or $455 per week are automatically non-exempt. Computer professionals are a little different and are non-exempt if they are paid less than $455 per week or $27.63 per hour if paid on an hourly basis. Note that the $27.63 per hour comes to $1,105.2 per week which is more than double the $455. I’m not sure why this is so at this point and hope to find out when I write the computer professional exemption post. These numbers are current as of today’s writing but it looks like they will be increased sometime in 2015. Salary basis test: All exempt employees must be paid a salary but must meet the minimum salary requirements listed in the salary level test above. In addition, the employee must meet all other requirements of whichever exemption classification applies to their situation. In order to pass the salary basis test, the employee’s weekly salary must be paid without reductions in their pay resulting from variations in the quantity or quality of the work they performed. The employee must be paid for any week in which any time was worked even if they came in late or left work early during that week. Their pay cannot be deducted. Deducting wages would result in the employee losing the exempt classification. The duties test: Now the potential exempt employee who meets the salary level test and the salary basis test must now pass the duties test. The exemptions the FLSA permits are typically high level jobs. The most common exemptions are executive, administrative, professional employees, computer professionals and outside sales employees. I will devote a separate post/podcasts on each of these exemptions in the future. 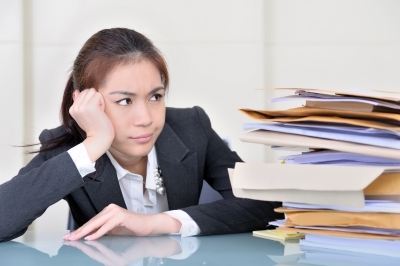 Exempt employees have very limited rights under the FLSA overtime rules. Pretty much all they are entitled to under the FLSA is to receive the full amount of the base salary in any work period in which they perform any work. The employer can require exempt employees to work any particular schedule, make up lost time due to absences, and work any amount of work time the employer requires on any schedule. It is important to understand that a non-exempt employee cannot waive their FLSA rights. An employer cannot have an agreement with an employee to work extra hours over the 40 hour workweek in exchange for additional benefits, comp time, or additional pay instead of earning the required overtime pay. An employee who willingly goes along with or requests an illegal pay arrangement has the right to sue the employer for FLSA violations and recover any back pay they are owed under the law. 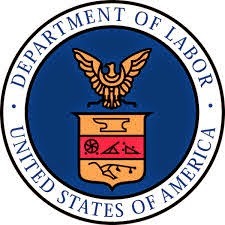 The Department of Labor’s (DOL) Wage and Hour Division (WHD) administers and enforces the FLSA. It will usually initiate an investigation in response to an employee’s complaint of an employer’s overtime practice. If there are multiple complaints, the WHD may launch a full scale investigation consisting of employee interviews and subpoenas of company records. If there is just one complaint, however, the WHD will typically conduct a phone interview and small scale investigation called “conciliation.” The WHD can also assess a penalty of up to $1,000 per violation for repeated or willful violations of the FLSA overtime provision. Well that covers the introduction into the FLSA pay classifications. Next week, I will focus on the computer professionals classification because I want to find out why the required hourly rate of $27.63 is so high compared to the required weekly rate of $455 per week.